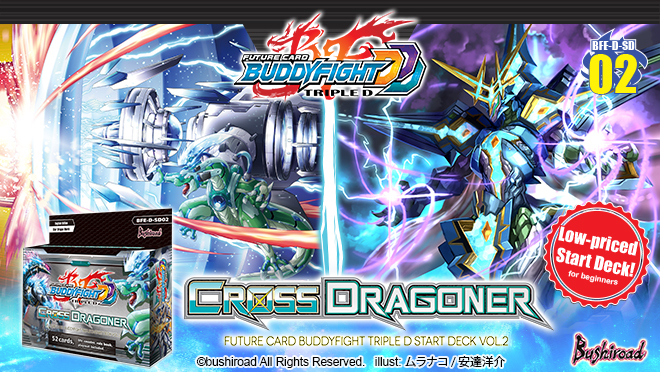 BFE-D-SD02 [Cross Dragoner]!! With the return of fan favorite Jackknife, your power is only limited by your creativity!! A perfect way to start with its low price and user-friendly cards, jump into the world of Buddyfight with your friends! Life counter, rule book, and playmat are included.